Where do we even begin with this fellow? While soldiers are definitely known to decorate their uniforms with a few mementos here and there, everything about this look screams chaos and disorder. He’s taking true delight in all things unsettling and disturbing. Wasteland Weekend is a place to brandish your fake weapon. With a strict policy against real firearms (whether loaded or not), only non-firing, replica weaponry is allowed at the festival. 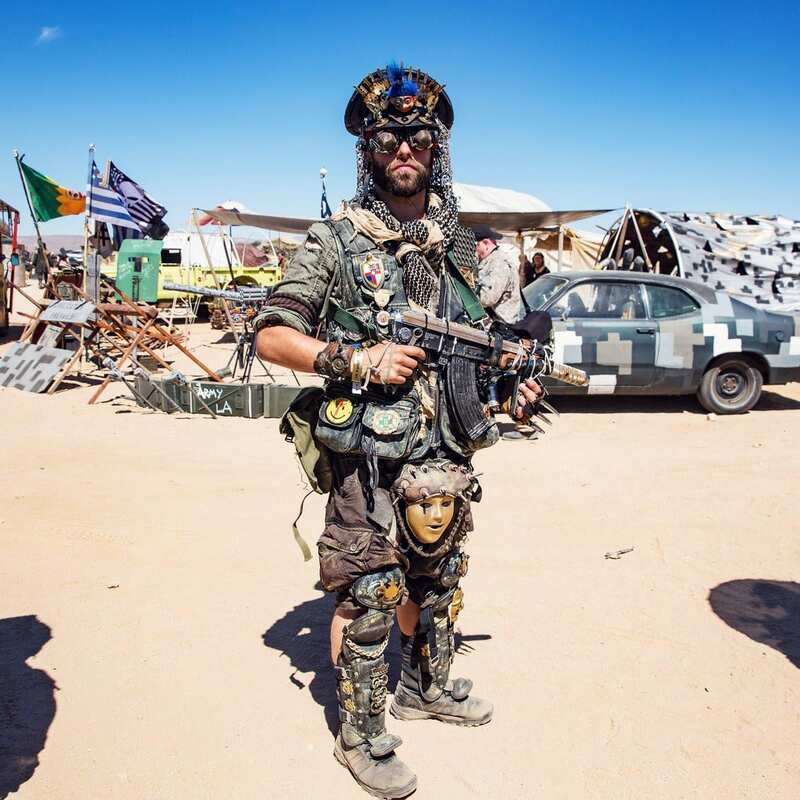 And just in case you needed a reminder of how creepy dolls and mannequin faces can be, look no further than this post-apocalyptic madman’s getup. This is definitely the first time we’ve ever seen someone re-purpose a troll doll for his hat. Who knew there were headhunters so close to Los Angeles? Keep reading for more rare glimpses into the delectably deranged world of Wasteland Weekend.